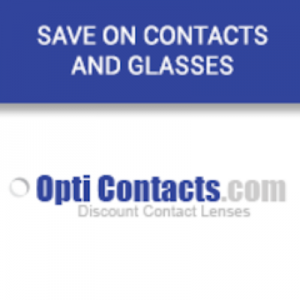 OptiContacts.com is a direct to consumer contact lens and eyeglass company. They provide high quality contact lenses and glasses for a very low cost. An industry leader since 2004 with over 20 million lenses sold, OptiContacts has an excellent history and reputation. Shipping is free for all orders over $129.00 and is fast (1-6 days). They carry a variety of different brands for contact lenses as well as numerous styles of frames for eyeglasses. This No Middleman favorite guarantees that orders will be 100% accurate and free of defects, otherwise immediate replacement with free shipping will be provided!